Meir teaches Chumash, Parshat HaShavua, Mishna, Talmud, Halakha, Siddur and Interpersonal Relations at Pardes. Meir made aliyah in 1972 from the Bronx, NY, immediately after graduating from City College in New York with a B.A. in Mathematics and Physics. He did his advanced Jewish Studies at Yeshiva University, Yeshivat Kerem B’Yavneh and Yeshivat Har Etzion, receiving ordination from Rabbi Zalman Nehemiah Goldberg of Jerusalem. He received his M.Ed in Teaching Bible from the Herzog College in Gush Etzion. Before coming to Pardes, Meir taught Talmud and Bible at the Shapell College of Jewish Studies. Over the years, he has also taught at a number of other institutions in Jerusalem, including Michlala, Nishmat and Beit Midrash L’torah. Since 1977, he has been a full-time faculty member at Pardes and has taught more hours and classes than anyone else on the staff. In addition to teaching, Meir has been responsible for the “affective” side of Pardes, coordinating and supervising tefillot (prayer), tiyulim (hikes), shabbatonim, and pre-holiday yemei iyun (full-day study programs). 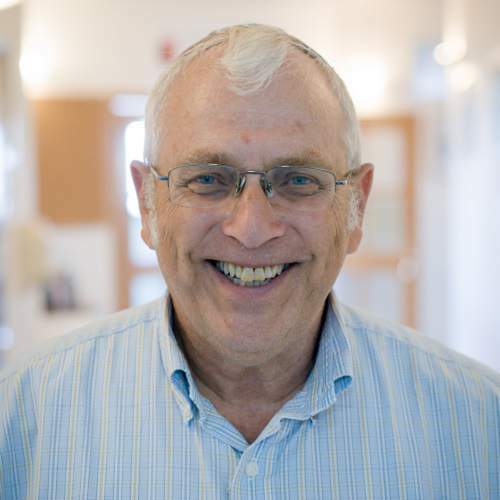 His official title is Mashgiach Ruhani (Director of Religious Life), which reflects the impact he has had on the personal and spiritual growth of many of our students. For 10 years, Meir was the Director of the Pardes Fellows’ Program, for returning, 2nd year students, and the Educational Director of the Executive Learning Seminar. For three years, Meir was the mainstay of Pardes’ podcast series on the weekly torah portion, and he has over 200 recordings online. Online learning: Click here to view online learning material from Meir on Elmad, online learning powered by Pardes.